Men’s social club Alpha Tau Epsilon (ATE) and women’s social club Girls Aiming Toward Achievement (GATA) face changes as they enter this year’s club process. With 20 active members, GATA began one of the biggest recruitment years they have seen in years based on interest at the officer open house on Sept. 1 and the all-member open house Sept. 3. They have more than doubled their interest numbers, according to junior Zarnez Montgomery, GATA president. 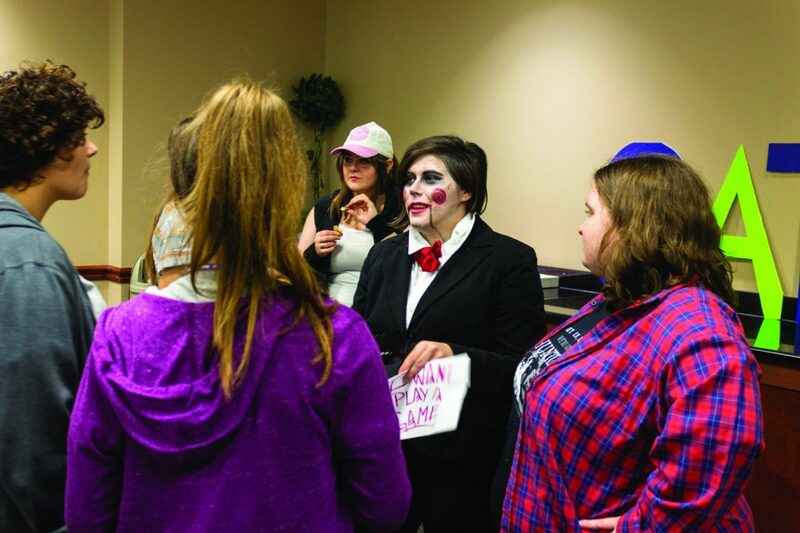 With eight active members, ATE also began their recruitment process with the hope to have a significant increase in members, said senior Quinn Holleman, ATE president. With only eight members, they are at risk of having no other choice but to dissolve the club completely, said Erastos Evdoxiadis, ATE sponsor. Evdoxiadis also said ATE has not seen growth in over a decade until last year. GATA entered this school year with new ideas and a defined purpose and goal, according to senior Samantha Steed, GATA vice president. Steed said the club decided to break their stereotypes and show others how diverse they were, but were not expecting how much this would carry over to potential new members. “We really just want to be an open club, not only in the sense that we accept everyone, but also in a sense of we accept everyone for who they are,” Steed said. Montgomery entered the year welcoming change, and the numbers from the open houses are just one more change for GATA, one of Harding’s oldest social clubs, established in 1938. ATE entered this year’s club process knowing their existence depended on creating interest, bringing awareness to the club again and working to raise membership numbers that had been slipping, Holleman said. Evdoxiadis said there are several challenges to recruiting for a small club. All members need to be present for the recruitment activities. When the sponsors told ATE they had to have 12 active members going in to the 2019 fall semester, they made changes to the club. They completely rewrote the constitution, and each member took on additional responsibilities. They faced some challenges but turned in the right direction, according to Evdoxiadis. They implemented a lot of changes going into their 50th year as a club, and the members are now happy with the club’s principles, said senior Alexander Renner, ATE vice president. Now they just want to add members to the club, so they can continue to exist.